Although England was slower to adopt the game of golf than it's northern neighbour Scotland, golf started to be played in England from the mid-eighteenth century and the Royal Blackheath Golf Club holds the honour of being the England's oldest club. Courses started to sprout up around the country from the end of the nineteenth century and the game was soon flourishing and today England presents one of the world's most diverse golfing landscapes. A tour of country could begin in the South Eastern corner with the Kent links of Royal St Georges and Prince’s in Sandwich and the Royal Cinque Ports Golf Club in Deal. Royal St George's has hosted the Open Championship on fourteen occasions and the holes are beautifully framed by sand dunes culminating in as fearsome closing four holes in the country. Princes played host to the Championship in 1932, won by the legendary Gene Sarazen, and while perhaps not as daunting as its illustrious neighbour is still a fine test. Royal Cinque Ports, twice host to the Open, is a timeless example of the very best of links golf running along the sea wall and through the areas distinctive dunes. Around the capital the landscape suits itself to the many great heathland tests, notably the famed courses of Wentworth, Sunningdale and Walton Heath, although the area is dotted with many less well known, yet no less challenging, courses such as the idiosyncratically bunkerless Royal Ashdown Forest. North of London the stately setting of Woburn is home to three championship courses whilst the Grove in Hertfordshire is an immaculate course that has hosted a World Golf Championship. The South West is home to some fine ‘Atlantic Links’ courses that do justice to the beauty of the scenery. Somerset’s Burnham & Burrow, whose first professional was five times Open champion JH Taylor, is an extremely challenging links layout. In Devon both courses at Saunton can claim to be championship tests whilst the marvellously idiosyncratic Royal North Devon Golf Club, founded in 1864, is England’s oldest course. Cornwall offers some of England’s very best links courses. The Church course at St. Enodoc was laid out by James Braid and has been ranked the 55th best course in the world whilst the Championship course at Trevose Golf and Country Club is a classic Harry Colt design. The East of the country features some distinctive links courses hewn from the distinctive landscapes of the region. Aldeburgh in Suffolk is a stern test with a series of long par 4’s sitting above the tidal river from which the course takes its name whilst inland you can play what many consider to be the best nine hole course in the country, Royal Worlington & Newmarket. The North Norfolk coast presents two clifftop links courses at Cromer and Sheringham whilst the East Anglian tidal linksland offers the unique challenges of both Hunstanton and Royal West Norfolk, two of the highest regarded courses in the country. Continuing north into Lincolnshire you will find the home of the English Golf Union at what somme call the country's finest inland course, The Hotchkin at Woodhall Spa. Of course any guide to golf in England must finish in the North-West with the famed courses of ‘England's Golf Coast’. Embracing a spectacular stretch from Cumbria and the Lake District in the North to Wirral and Cheshire in the South it includes three of the top 20 and seven of the top 36 courses in the UK and Ireland. 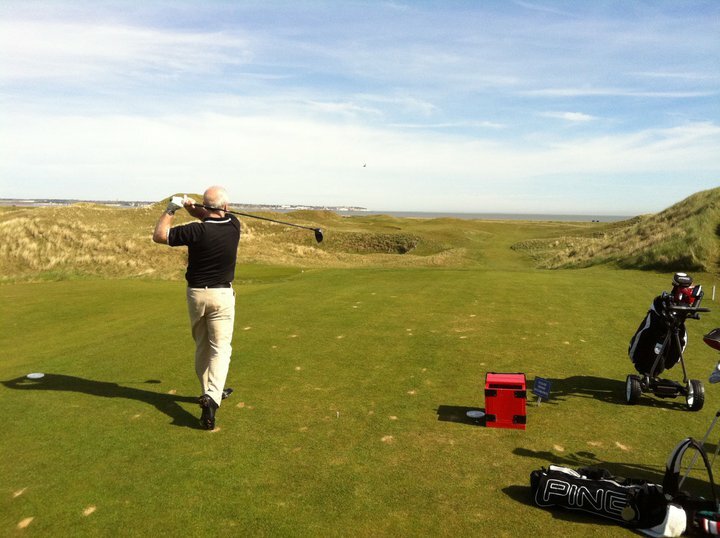 Boasting three courses on the Open Championship rota, Royal Liverpool, Royal Birkdale and Royal Lytham St. Annes this stretch of links also offers up some less well known but still must-play tests of golf. Courses such as Silloth in Cumbria, Southport and Ainsdale (the first course to stage two Ryder Cups), and nearby Hillside, sometimes regarded as the best links never to have hosted the Open, stand proudly besides the Open giants. Although when talking about the golf of courses of England those mentioned above sometimes grab the headlines, the greatest impression left of golf in England is the wide variety of different styles available for golfers to play.